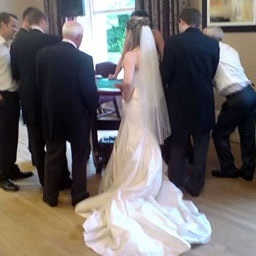 Clients like you have been hiring Mulsanne Casinos to provide fun casino tables in Northern Ireland since 1989. If you require exciting party ideas, from corporate casinos in Armagh, to wedding entertainment in Antrim, our main purpose is to make life easier for you. Whether you need corporate entertainment, wedding entertainment or fund raising entertainment, our services will cover you. Most venues, be they hotel conference suites, company boardrooms, train carriages or luxury yachts, can be transformed into a bustling fun casino party. Once there, guests can thrill to the spin of the Roulette wheel, the roll of the Craps dice and the turn of a Blackjack card. Our trained and experienced croupiers, both male and female, are there to ensure that your guests have an enjoyable and memorable experience. Your casino can be themed and branded. We can organise table displays in corporate colours, music to suit any taste and “funny money” featuring the relevant company logo or a picture of the people of the hour. 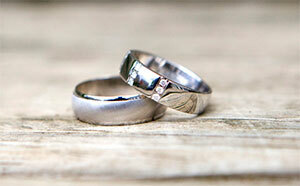 Tex-Mex, Twenties Speakeasy and James Bond are examples of themes that are consistently popular. We have brought our party hire services to Belfast and Dublin and almost every other town in Ireland as well as many further afield, including Glasgow, Edinburgh, Newcastle-Upon-Tyne, Manchester and Bristol. If you want to hire a casino in Belfast, require corporate entertainment Antrim, casino hire in Ballymena, fund raising in Larne or wedding party events Lisburn, Mulsanne Casinos can provide an event to suit you throughout Northern Ireland. Our events are always completely legal. We operate within strict guidelines and always advise our clients accordingly. If you have already had a casino party and want a change or if a fun casino does not fit in with your plans, we also offer other forms of entertainment. 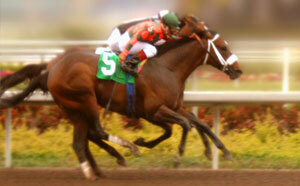 Our Horse Race events range from the standard fund raising package to 'bells and whistles' corporate package. If your numbers range from 20 to 70 with mixed gender, then our Murder Mystery events could be right for you. We can supply top class magicians, hypnotists, mentalists and after dinner speakers, all of whom are either from within our organisation or are very well known to us. For casino parties in Belfast or horse racing events in Lisburn, let Mulsanne Casinos cater for your requirements for your next event. 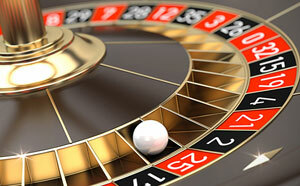 Choose Mulsanne as your first choice when hiring a casino in Northern Ireland. 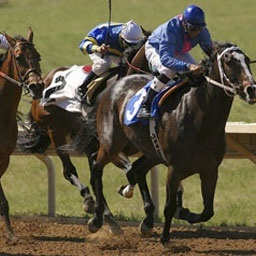 Don't gamble with the success of your event. Let Mulsanne Casinos entertain for you.